The next thing in green transportation? George Simon Ohm, early analyst of electrical cicuits; statue at Technical University of Munich. The university campus adjoins the sites of several art museums. 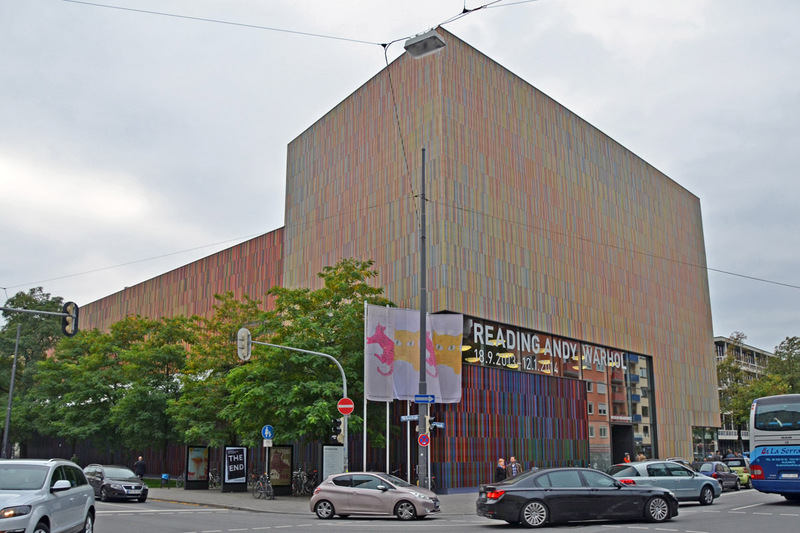 Brandhorst Museum, one of several modern art museums. The featured exhibit "Reading Andy Worhol" was many examples of book cover art, and book illustrations by Andy Worhol. 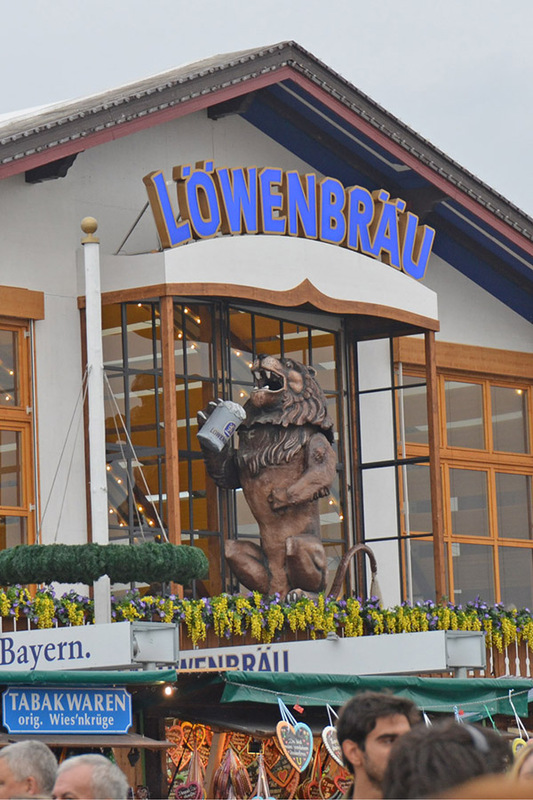 Oktoberfest in Munich is the annual sequel to the wedding celebration of King Ludwig I to Princess Therese of Saxe-Hildberghausen on October 12, 1810. The celebration, in the fields outside the city gates, lasted several days, and featured horse races. The following year the horse races were repeated, and continued until 1960. The site is now a large city park, Theresienwiese. 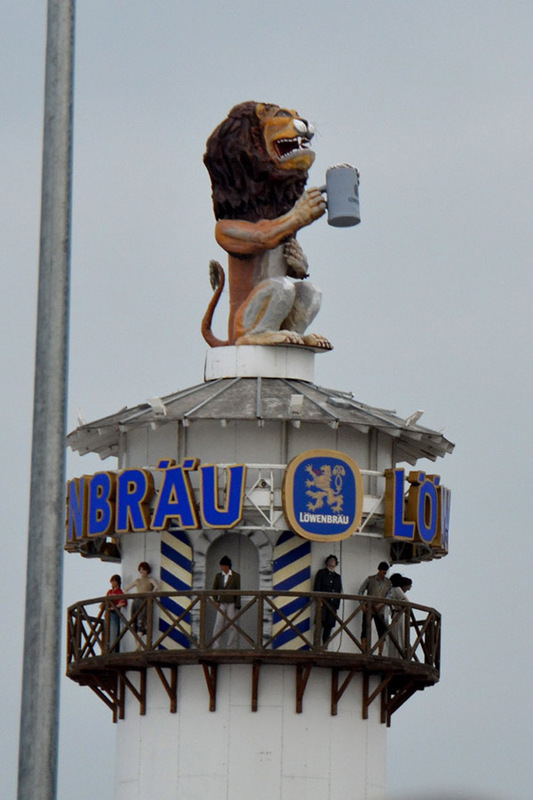 There are six breweries with rights to sell beer at Oktoberfest, and each has a pavilion with (somewhat pricey) beer and food. No bring-your-own beer is permitted. All over the grounds are food stands (quite reasonably priced), with traditional items including roasted and candied nuts, baked goods including heart-shaped cookies with love inscriptions, roast chicken, roast fish on a stick, roast pork, dumplings. 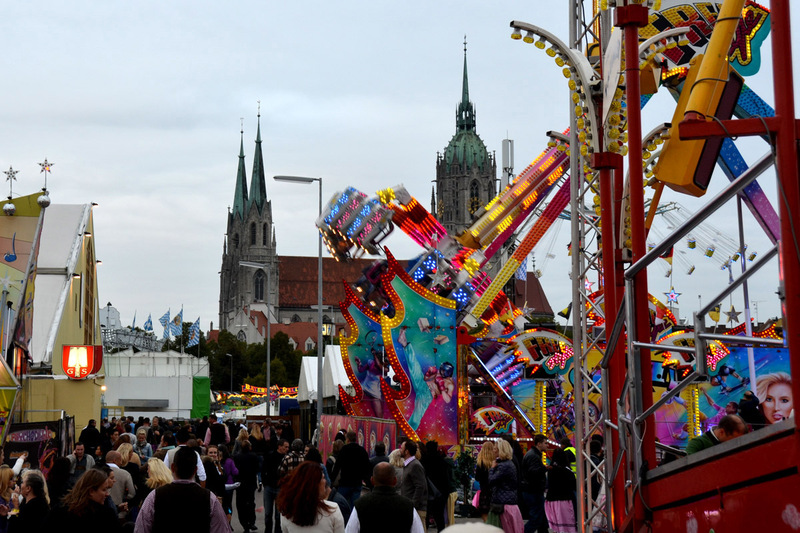 The event is very popular both with locals, and visitors from around Europe. The organization to handle the big crowds was excellent -- the subway lines to Theresienwiese had lots of extra trains, so waiting time was minimized. Many people attended in traditional Bavarian costumes -- lederhosen for men, embroidered dresses for women. Lots of beer is consumed. As evening came, we began to see telltale groupings of three people, a drunk one in the middle, held vertical by the two less drunk friends.